As the economic boom in Toms River continues, make sure your small or midsize business doesn’t get left behind with Valpak of Jersey Coast. When you advertise through Valpak’s Blue Envelope of coupons, you benefit from over five decades of improvement and iteration on our direct mail marketing system. Choose from single-panel coupons, multipanel coupons, circulars, cardstock and more. And watch as consumers bring your ads back to you. Valpak of Jersey Coast has also expanded beyond the mailbox, offering a full suite of digital products and services to expand your business’ presence online and, ultimately, drive more leads, including search engine marketing, and responsive web design. Monitor your return on investment with the impressive tracking capabilities of our performance tracking dashboard. Precise tracking enables your business to be nimble and your advertising dollars to be spent carefully. Get regular reports on the performance of both your print and digital ad, discover what works best and we’ll work together to adjust for the best results. Valpak of Jersey Coast can help you reach qualified households in and around the Shore including Toms River, Brick, Lakewood, Jackson, Barnegat and Ocean Township. “I’ve seen an incredible return on my investment. It’s very clear that [Valpak] reaches the people I want to reach. I use Valpak to promote some of the events that we have here during the year, specifically, say, Restaurant Tour, Oktoberfest, San Gennaro, and build awareness of those events. I bring people from outside the area in, and Valpak is a really great tool to do that. For specific dates and coverage, contact your Valpak of Jersey Coast representative. 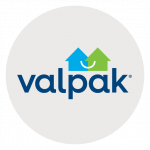 Valpak of Jersey Coast is an independently owned Valpak franchise.